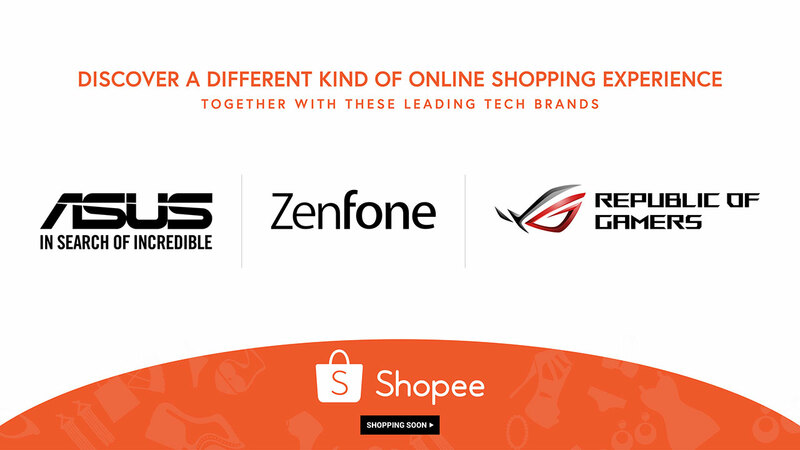 ASUS will now be making their products available on online retail platform Shopee, according to an announcement by the company. Under the new partnership, ASUS will be opening two official online concept stores on the platform which will cover their products under their ASUS and ROG brands, respectively. The ASUS and Zenfone store, the first of the two official online concept stores, will carry the company’s complete smartphone and laptop line-up which includes the new ZenBook Pro 15 laptop, the Vivbook S15 and S14 ultrabooks, The Zenfone 5 series, and the new Zenfone Max Pro. On the other hand, the ROG store, the second of the two official online concept stores, will carry the company’s line-up of gaming laptops including the ROG Zephyrus and ROG Strix series.